Twitter is one of those social media channels that can seem confusing at the beginning. There’s a lingo and a set of rules which some would say was limiting not to mention alien. But once you get it… you will fall in love with Twitter’s simplicity and easy reach. These tips will take you beyond beginner to someone who can really use Twitter as an effective marketing tool. Pick them out one at a time and just build on your knowledge. And to make things that little bit easier, we’ve created a FREE Checklist which you can download and work through while you get comfortable with this fantastic social media channel. 1. Choose a Twitter Handle that’s easy to say, spell and remember. The first thing you need to do to get started on twitter is to choose a name or twitter handle. It’s an expression of your brand so make it match as closely as you can. You have 15 characters for the Twitter handle itself. Your real name has 20. Make them count. If you can’t get the one you want, use something that makes sense. Avoid techniques like adding a number at the end for example @YourName123. It’s just not memorable. Seth Godin chose @ThisIsSethsBlog, Davina McCall chose @ThisisDavina and my own personal favourite is Gary Vaynerchuk’s which is @GaryVee. 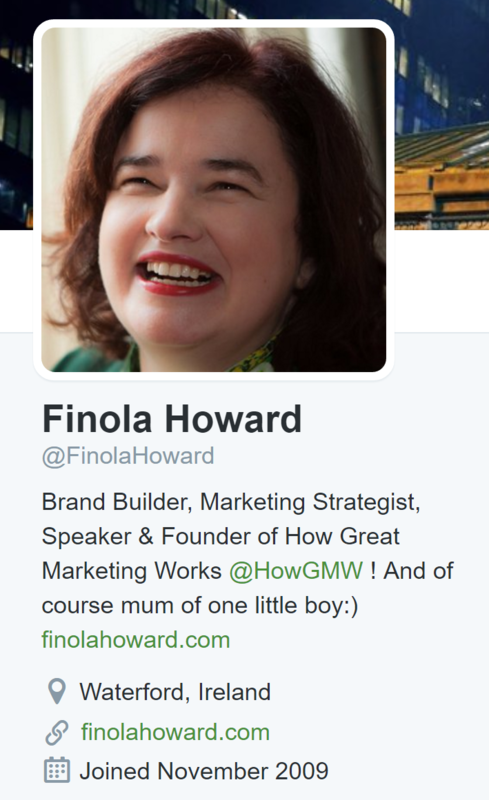 My own is simply @FinolaHoward and we chose @HowGMW for How Great Marketing Works. 2. Say Who You Are & What you Do in your profile. 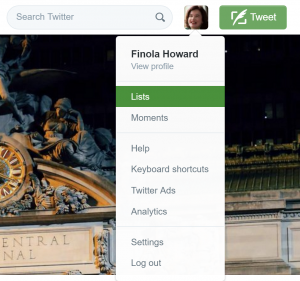 The second most important thing you’ll do to get started on Twitter is set up your profile. This is your first opportunity to share with people who you are and what you do. Don’t make people work for that information. You’ve got up to 160 Characters for your profile. Think of it as an elevator pitch so make sure it means something to your target market. Make sure it’s ON Brand and ON Message. Include who you are, what you do and what you can do for them. After that, add a little of your own personality. It helps people warm to you, want to connect with you and ultimately follow you. And yes you do want followers otherwise you’re just talking to yourself. This is not what social media or in fact great marketing is about. Insider Tip: Do include a link to your website in your profile aswell as in the website address box. It’s good for SEO. You’ve invested in creating great imagery around your brand. Now use it. 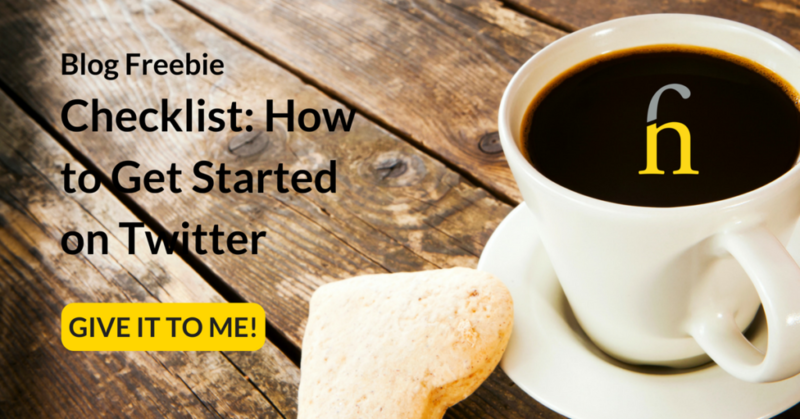 There are three specific types of images you need to get started on Twitter. This is something you can do quite easily by using something like Canva to help you. It’s a free image editing app that’s, easy to use. You can choose from one of their free images or just pay $1 for their paid images. So it’s really affordable. Canva also have the dimensions preset for you so you just have to pick whether it’s a post, a profile image etc. We’ve done a “How To” article on Canva here if you’d like to know more. 4. Follow People and Have Conversations. Rule #1 – Social Media is Social. If they’re not following you; they can’t hear you. If you’re not following them; you can’t hear them. Start by building an audience. Follow people you find interesting. Follow people that are influencers in your space. Who are their followers? Are they your target market? Follow them too. Tools such as CrowdFire are very useful here. We’ve done a “How To” article on Crowdfire if you’d like to learn how to set this up and use it to grow your followers. As your following grows it will become increasingly difficult to interact with everyone in your feed. So, this is a good time to build Twitter Lists for the people you like to interact with regularly. A list can be for customers, people you met at a certain event, people who are in the same space as you or just people you like to interact with. Just click on your profile image and select lists from the drop down menu and start the process from there. Lists are designed by you or you can subscribe to other people’s lists that you find useful. Make them work for you. 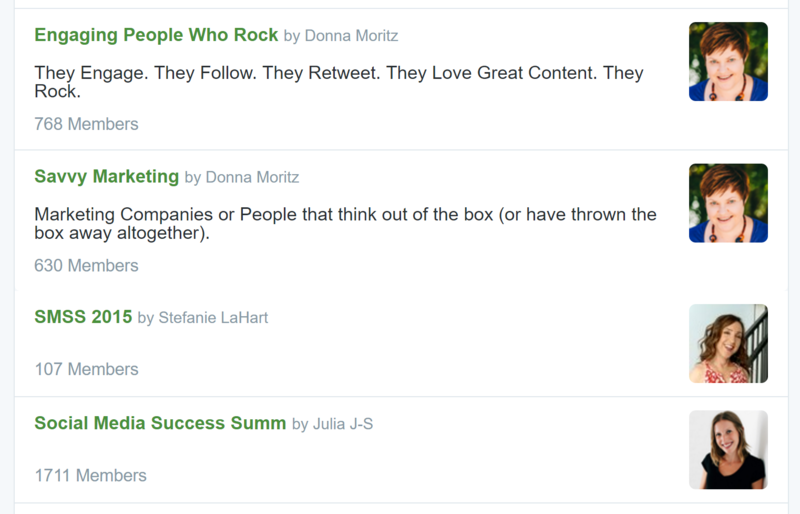 Lists make it easier to engage and the more you engage the better your profile on Twitter. Here’s a snapshot of some of my lists. You can see this selection is of lists I’ve subscribed to. 6. Schedule 4 – 5 Tweets per day, at least. Twitter is a dynamic social media channel and gets it’s best return on investment when there is a steady stream. Too little and you won’t reach your followers when they’re on. Too much and you’ll just annoy them. Remember the life of a tweet is about one hour so when that hour’s up that tweet’s gone. Use a combination of automation and live engagement here. You can automate the tweets you know you want to release with something like Buffer. That then leaves room for live engagement with people who you connect with. 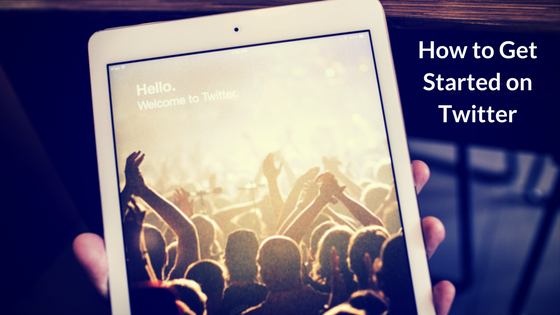 With Buffer, you can schedule tweets well in advance not to mention your other social media channels aswell. It’s got a great free entry point and as you grow your social media you can take advantage of their paid options aswell. We’ve done a “How To” article on Buffer here if you’d like to know more. 7. Mix Curated Content with Your Content and Share it. When you share they’ll share. This technique only serves to showcase your ability to choose things that your audience wants to read. When you do it right, they’ll trust you. And that trust is priceless. 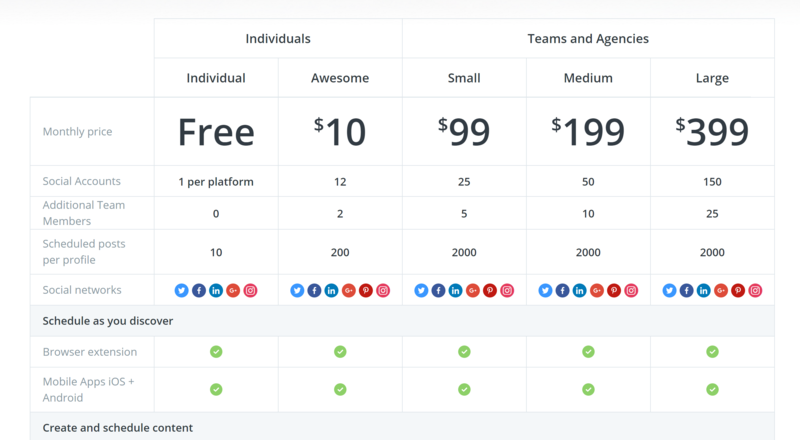 Coschedule has a free 14 day trial and I recommend you start at the $15 per month entry point before moving forward. 8. Use Hashtags to Broaden your Reach. Twitter has a wonderful facility for understanding what people are interested in. It’s called a Hashtag (#). In your space find out which hashtags people use to search twitter for topics they’re interested in e.g. #Foodie (for people interested in Food), #Marketing (for people interested in Marketing), #SMM (for people interested in Social Media Marketing). Find the hashtag your audience is interested in and ensure you use these in your tweets. It broadens the reach for what you have to say and you’ll make new connections as a result. Don’t just stick a # symbol in front of whatever you’ve written. Make sure it’s a real hashtag that people are following. Just put it in your Twitter search bar and watch the results that you find. You’ll know very quickly if this is in the right space or not. Hashtags help you discover what people are talking about in this space and it also identifies people with that hashtag in their name or profile. We live in a society where time is precious. So when people give you their time, when they interact with you, when they favourite something of yours, when they include you in their lists and when they retweet something of yours – say thank you. It doesn’t cost you anything and shows you appreciate them. In this way you can take that relationship to the next level. You’ve got to ask or your social media efforts will simply be an indulgence and not a real marketing tool. If you focus all your time trying to sell to your followers, your social media will never work for you. This is a relationship building tool so it takes time. Enjoy it, learn from it and when the opportunity presents itself; be ready to ask for more. 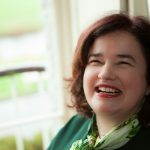 The first thing I measure with any social media account is the number of followers and the engagement levels. If you are serious about using Twitter as part of your marketing strategy; you need to measure what you do. There’s so much more you can do to measure your progress but this is enough to get started. As you can see there’s lots you can do to really leverage twitter to help you grow your business. It’s a lot to take in and that’s why we created this FREE Checklist that you can download and use to help you get started. Let us know how you get on and if you’ve any questions please don’t hesitate to post them here or on our Facebook Page. We’re more than happy to answer any questions you might have.